Is the Word of God Growing in Your Heart? As you will see in the Scripture God the Father places an extremely high value on the pursuit of knowledge – especially spiritual knowledge. He says that gaining knowledge is greater than all the silver, gold and material things of this world. The Bible tells us we have to grow in the knowledge of God. I Timothy 2:4 (NIV): who wants all people to be saved and to come to a knowledge of the truth. In many churches we teach Christ crucified and that He died for our sins which is a wonderful truth but we fail to go deeper in the things of God and come into a full knowledge of the truth. Hosea 4:6a (ESV): My people are destroyed for lack of knowledge; Jesus Christ destroyed the works of the Devil with a “It is written” mentality. He always used the sword of the spirit, the Word of God, in spiritual warfare. whatever they do prospers. 4 Not so the wicked! Delight (hapes, chapes) pictures that which is bent toward and thus is a beautiful figure of the godly man or woman who is ever leaning toward the law of Jehovah, not referring to the “ten commandments” but to the law as representative of God’s Word. The word “delight” means to take great pleasure in. It has the idea of a consuming passion that controls your life. Everyone “delights” in something. Some people delight in food. Others delight in a job or a hobby or a career. Some delight in a particular friendship. Many people delight in money or the things money can buy. And many delight in evil pleasures and wrong desires. Mark this well. Your “delight” determines your direction. What do you delight in? What gets your motor running? What gets you excited in the morning and keeps you awake at night? What do you daydream about? Tell me the answers to those questions and I’ll tell you something crucial about who you are. To delight is to be so excited about something that you just can’t wait. Watch a young couple in love and you’ll know what “delight” means. Or take a young man who has fallen in love for the first time. Ask his friends and they’ll say, “He’s not the same guy he used to be.” They mean he has radically changed. He doesn’t want to hang around with them anymore. All he does is talk about “that girl.” Just look at him. He’s got this goofy grin on his face. He’s in love. Now apply that principle to the Word of God. We are to delight in God’s Word as a lover delights in a letter from his beloved. Psalm 119:131 I opened my mouth wide and panted, (Why did he “pant”?) for I longed for Thy commandments. The Bible is God’s love letter to you. You’re reading the counsel of a loving, all-wise Heavenly Father as to how you should live. His commandments are for your blessing and good. He is blessed because his delight is in the law of the Lord. – He not only reads the Bible, he delights in it. – He not only studies the holy word, he enjoys it. – He not only reviews truth, he relishes and revels in it. When you truly delight in the Word, you will have a desire to spend time in it and to meditate on it. In the following verses from Psalm 119, observe the association between delight and meditation. 16 I shall delight in Thy statutes; I shall not forget Thy word. 24 Thy testimonies also are my delight; They are my counselors. 47 And I shall delight in Thy commandments, Which I love. 48 And I shall lift up my hands to Thy commandments, Which I love; And I will meditate on Thy statutes. 77 May Thy compassion come to me that I may live, For Thy law is my delight. 78 May the arrogant be ashamed, for they subvert me with a lie; but I shall meditate on Thy precepts. J. I. Packer says that meditation is the practice of turning each truth we learn about God into matter for reflection before God, leading to prayer and praise to God. Read it much, read it often, brood over it, think over it, meditate over it—meditate on the Word of God day and night. When you are awake at night, think of a helpful verse. When you get up in the morning, no matter how you feel, think of a verse and make the Word of God the important element in your day. The Holy Ghost wrote the Word, and if you make much of the Word, He will make much of you. It is through the Word that He reveals Himself. Between those covers is a living Book. God wrote it and it is still vital and effective and alive. God is in this Book…and if you want to find Him, go into this Book. Faith feeds on the Word of God. Romans 10:17: (Faith comes by hearing and hearing by the Word of God). Without a steady diet of the Word, faith gets weaker and weaker. If you are dissatisfied with your Christian courage, faith and joy and purity of heart, check the way you are feeding your faith. Compare the way you eat. Suppose that you start the day with a glass of orange juice. It’s good, and good for you. It takes you maybe five minutes to drink it if you read the newspaper at the same time. Then you go off to work or school. You don’t eat anything else until the next morning. And you have another glass of juice. And so you go on drinking one glass of juice a day until you drop. That’s the way a lot of Christians try to survive as believers. They feed their faith with five minutes of food in the morning, or evening, and then don’t eat again until twenty-four hours later. Some even skip one or two mornings and don’t give their faith anything to eat for days. Now the effect of starving your faith is that faith starves. Not hard to understand. And when faith is starving, it is getting weaker and not able to do much. It has a hard time trusting God and worshiping and rejoicing and resisting sin. It gasps and stumbles. The Word of God must grow in the heart and develop into a fruitful harvest. To have fruit means the Word of God has accomplished the promise in your life. It comes to completion and full maturity. It brings about the promised result. Is the Word of God growing in your heart? The pattern of growth is first you do not sit, walk or stand in the ways of the world where your thought life and heart is conformed and entangled with the atmosphere and culture of this age. Instead you delight in the Word, you seek the Word with great enthusiasm, you read and study the Word and then you reflect and mediate on it with your heavenly Father. You absorb the Word into your thinking, your words, your actions and your heart. This allows a fertile ground for growth of the Word into a mighty harvest. 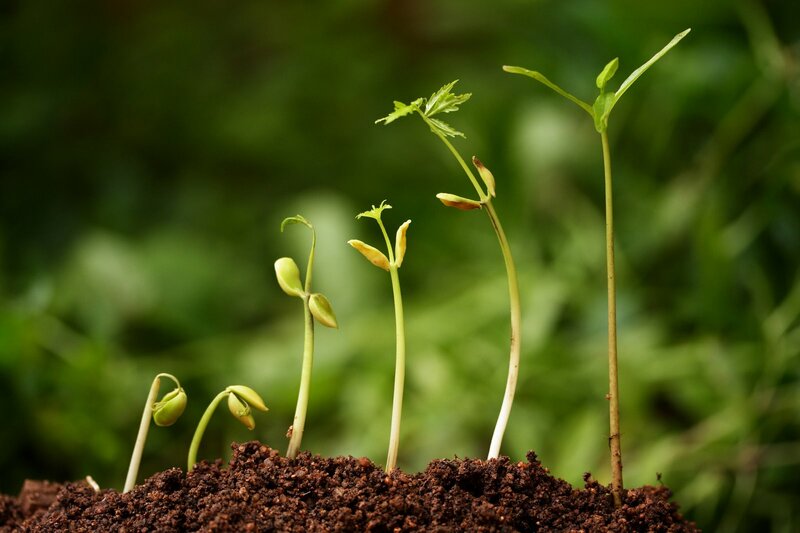 Grow-(auxano) means to cause to grow or cause to become greater in extent, size, state, or quality. Excerpt from my new book I am currently writing on the heart: The words of the Lord must be placed deep in the womb of the heart where they become a part of the very fiber of our heart. In the deep chambers of our heart, the words of the Lord are to be the center of our thoughts, meditations, motives, desires, and deeds. We must not let the words of the Lord fade or leave our hearts where we forget the live-giving words from the mouth of God and harden our hearts to His voice. God’s Word must become the living and breathing essence and functioning fuel of the heart that defines its purposes, movement, its direction, and growth. The words of the Lord are to be the foundation, the building blocks and the very structure and composition of the heart. The words of the Lord are just as important to the spiritual condition and health of our heart as physical food is important to the health and condition of our physical heart. Remember the words of Jesus that “man shall not live by bread alone but by every word that comes from the mouth of God.” The heart cannot be spiritually alive and in tune with God without the words of God being the source of food and nutrition for the heart. An inadequate spiritual diet leads to spiritual heart disease and seriously weakens the strength, vitality and protection of our heart. We must eat and feed upon the words of God contained in the Bible just as frequently as we eat physical food. Our heart must feed on the Scriptures if we are to protect it from the onslaught of the wicked one… These words of God are to be engrafted and impressed into the heart through diligent repetition, prayerful reflection and focused meditation. The Word of God is rooted in our hearts when we read it, study it, meditate upon it, confess it, believe it and think about it on a daily basis. Deuteronomy expounds on this truth. The Hebrew word for whet, sharpen, penetrate, teach and impress is “shanan” and means “to inoculate, to impress upon the heart by frequent repetition and frequent urging, to pierce through, to teach incisively and to impress into like words cut into a stone tablet.” The words of God must be impressed and carved into the heart where they become the legacy, the foundation and the voice of the heart. We must write the Word of God on the tablet of our hearts. James 1:21 Amplified: So get rid of all uncleanness and the rampant outgrowth of wickedness, and in a humble (gentle, modest) spirit receive and welcome the Word which implanted and rooted [in your hearts] contains the power to save your souls. Whatever keeps me from my Bible is my enemy, however harmless it may appear to me. The parable of the Sower and the Seed is critical in understanding the growth of the Word of God in our hearts to where it produces fruit. It is amazing to think that in every heart the Word of God is sown according to this parable that three out of four times it never produces any fruit. If any of the first three conditions exist in our hearts, then Word of God will produce no fruit in our lives. Matthew 13:4,19: Hears the word of the kingdom; not understand it; the wicked one comes and snatches away what was sown in his heart. Mark 4:4,15: word is sown; when they heard word, Satan comes immediately and takes away the word that was sown in their hearts. Luke 8:5,12: the word trodden down and fowls of the air devoured it; they hear the word and the devil comes and takes the word out of their hearts so they may not believe and be saved. Matthew 13:5,20,21: Seed (word) fell on stony places where not much earth, they sprang up but not have deepness of earth and when sun was up, they were scorched and because had no root, they withered away; receives word immediately with joy but when tribulation or persecution arises because of the word they are offended. Mark 4:5,16.17: they hear the word and immediately receive it with gladness and have no root in themselves and after when affliction or persecution arises for the word’s sake immediately they are offended. Luke 8:6,13: Fell on rock; as soon as sprung up it withered away because it lacked moisture; receive the word with joy; have no root; believe for awhile and in time of temptation fall away. Tribulation (thlipsis from thlibo = to crush, press together, squash, hem in, compress, squeeze in turn derived from thláo = to break) originally expressed sheer, physical pressure on a man. Thlipsis is a strong term which does not refer to minor inconveniences, but to real hardships. Medically thlipsis was used of the pulse (pressure). It is a pressing together as of grapes. It conveys the idea of being squeezed or placed under pressure or crushed beneath a weight. When, according to the ancient law of England, those who willfully refused to plead guilty, had heavy weights placed on their breasts, and were pressed and crushed to death, this was literally thlipsis. Figuratively thlipsis pictures one being “crushed” by intense pressure, difficult circumstances, suffering or trouble pressing upon them from without. Thus persecution, affliction, distress, opposition or tribulation, all press hard on one’s soul. Thlipsis does not refer to mild discomfort but to great difficulty. In Scripture the thlipsis is most often used of outward difficulties, but it is also used of emotional stress and sorrows which “weighs down” a man’s spirit like the sorrows and burden his heart. Thlipsis then includes the disappointments which can “crush the life” out of the one who is afflicted. Persecution (diogmos from dioko = to pursue) means to put to flight or to pursue with repeated acts of enmity. Some hatred comes your way from the world, family, friends, other “believers” because of your stand for Christ because the world is at enmity with Christ then you are offended and the word withers away. Offended: (skandalizo from a root meaning jump up, snap shut) was originally the piece of wood that kept open a trap for animals. Thus skandalon was literally, that movable part of a trap on which the bait was laid, and when touched caused the trap to close on its prey. Skandalon thus came to mean any entanglement of the foot. Figuratively, as used most often in Scripture, skandalon refers to any person or thing by which one is drawn into error or sin. Also means: to cause a person to begin to distrust and desert one whom he ought to trust and obey.1) to cause to fall away 2) to be offended in one, i.e. to see in another what I disapprove of and what hinders me from acknowledging his authority. Stony ground, having little or no soil, has insufficient nourishment for seeds to root and grow into a healthy plant. Initially, they appear to grow quicker because, with less soil to establish a root system, they expend their energy in producing the stem and leaves. When the sun grows hot (representing the light of God’s truth exposing them, or trials and persecution testing them), however, the sprouts wither away, the result of inadequate root systems. Matthew 13:7,22: hears the word but sown among thorns and anxious cares of this age and the deceitfulness of riches chokes the word and it becomes unfruitful. Mark 4:7,18,19: sown among thorns that grow up and choke the word and yields NO FRUIT; cares (anxieties and worries) of this world, the deceitfulness of riches and the lusts of other things entering in choke the word and there is no fruit. Luke 8:7,14: as go forth choked with anxious cares, riches and pleasures of this life (bios) and bring no fruit to perfection. The thorny ground represents those who are consumed by the cares and anxieties of this physical life and the deceitful enticements of wealth. The constant pressures of ordinary life—providing for our needs, education, employment, social duties, etc.—can be distracting, causing us to ignore God and Christian growth. Are you too busy for God? Among the parallel accounts in Matthew, Mark and Luke, weeds are defined as: 1) The cares of this world, which one commentator calls “anxious, unrelaxing attention to the business of this life.” 2) The deceitfulness of riches—not wealth in itself, but its drawing power, its allure. Abraham, Joseph, Solomon, Job and others of God’s people show that He has blessed many with wealth. But it takes tremendous diligence and character to handle riches. 3) The pleasures of this life. The delights which worldly prosperity allows us to enjoy, in themselves, may be innocent. But do they draw off so much of our attention, so much of our time, that little remains for spiritual things? When the sower threw the seed among thorns, he did not throw it on poor soil. In fact, it was just as moist and fertile as the good soil! Notice that the “thorns sprang up” after the seed was cast; the weeds were not significant beforehand. But when they “sprang up,” they were not cleared away and growth was choked! Thorns are nothing more than prickly weeds. In the Bible, seventeen different Hebrew and Greek words are used to describe weeds, though they are often translated as “thorns,” “thistles,” “briers,” and the like. The good ground corresponds to those whose hearts and minds are softened by God’s calling and receive it genuinely. It is a rich and fine soil—a mind that submits itself to the full influence of God’s truth. They not only accept God’s Word—the message of Jesus Christ, as rich soil accepts a seed for growth—they also live by it and bear fruit. In agricultural circles, it is commonly thought that three-fifths of the seed sown does not grow to harvest. According to Jesus’ parable, three-fourths of the audience received seed but produced no fruit. Realistically, how much increase of spiritual fruit are we producing? Are we returning thirty-fold, a reasonable return; sixty-fold, a more productive return; or a hundredfold, an outstanding, God-honoring return? Matthew 13:8,23: Seed sown on good soil and the person hears the word and understands it produces a harvest yielding 100 to 60 to 30 times what was sown. Mark 4:8,20: Seed sown on good soil and they heard the word and receive it and it produces a crop, multiplying thirty, sixty or even a hundred times what was sown. Luke 8:8,15: Seed falls on good ground and bears fruit a hundredfold; word sown in an honest and good heart, hear the word and retain it and bring forth fruit with patience. As Christians, it is vitally important to our walk with God and our effective witness for Christ with power and compassion that the Word of grows in our hearts and produces a fruitful harvest of amazing results. How much of the Word of God is growing in our hearts? We have so much of the present culture in the music, the television shows, the movies, the ideas and heartbeat of this age growing in our hearts but how much of the Word is actually growing and producing a result? In order for the Word of God to grow in our hearts it must be planted in the right soil and then carefully cultivated with prayer, meditation, memorization and reflection. This Word of God then will produce results that will absolutely astound you as it is allowed to grow and transform our lives into the image of our Lord. The Bible must live in our hearts if we are ever to accomplish the destiny and calling of God in our lives. This entry was posted in Bible Teachings, Inspirational Messages and tagged Christ, christian, fruit, glory, growing, harvest, Jesus, knowledge, knowledge of GOd, power, salvation, seed, understanding, wisdom, word of God. Bookmark the permalink.